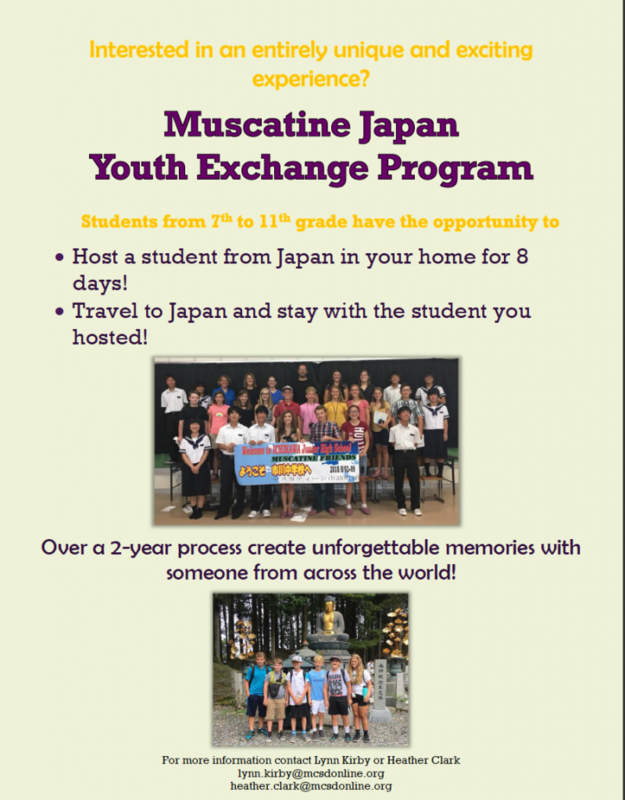 Description: Do you want to learn more about the Muscatine-Japan Youth Exchange Program? If so, come and find out how you can host a Japanese student this summer at an informational meeting on January 16th at 6:30pm in the Commons. 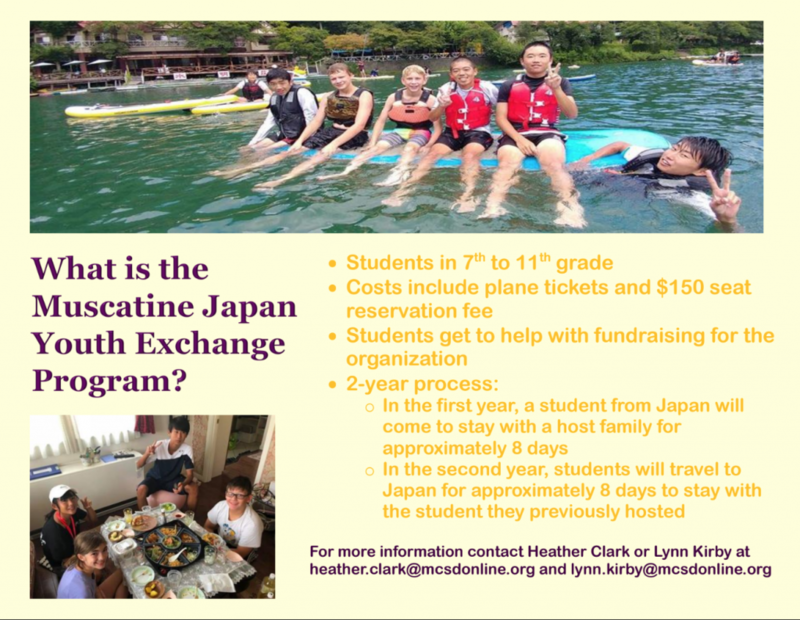 Any student who hosts on Japanese student for a week this summer will have the opportunity to travel to Japan in the summer of 2020 for just the cost of their flight. Through this experience, your child will get to know more about the Japanese culture, make lasting friends, and have wonderful experiences. Please see the attached flyers for more information. Contact Heather Clark (heather.clark@mcsdonline.org) at MHS or Lynn Kirby (lynn.kirby@mcsdonline.org) at CMS for more information.